(From left) First row: Dr Brian Clark, Loh Chin Hua (CEO of Keppel Corporation), Sven Bang Ullring, Dr Lee Boon Yang (Chairman of Keppel Corporation), Professor Minoo Homi Patel. Second row: Professor Tom Curtis, Chow Yew Yuen (CEO of Keppel Offshore & Marine), Dr Malcolm Sharples, Professor Jim Swithenbank. Last row: Professor Chan Eng Soon, Professor Stefan Thomke, Professor Ng Wun Jern, Professor Saif Benjaafar. Not in photo - Professor Kazuo Nishimoto. The Keppel Technology Advisory Panel (KTAP) was established in 2004 as a key platform to advance the Group's technology leadership. Its members include eminent business leaders and industry experts from across the world. Over the years, KTAP members have contributed to a broad range of ideas and developments in Keppel. The areas include drilling and production technology, offshore wind, coal gasification, waste-to-energy, as well as potentially disruptive technologies. More recently, KTAP has been exploring emission control areas, the collection of deepsea polymetallic nodules, as well as future platforms to deepen innovation and research and development in the Group. 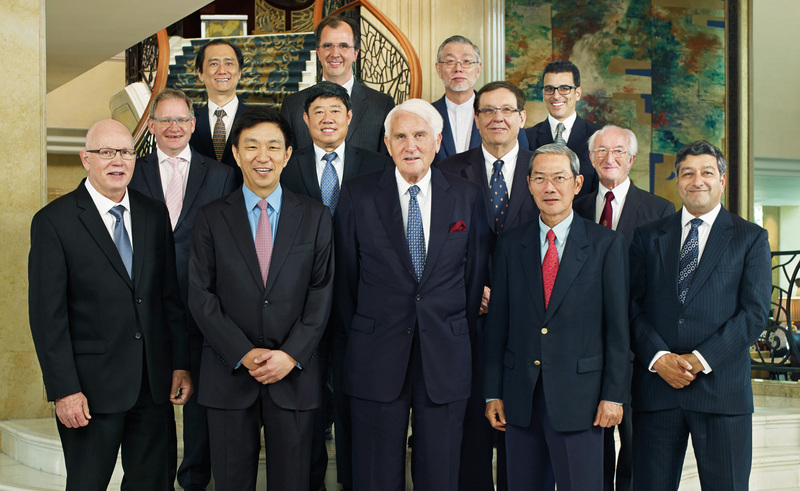 KTAP convenes up to twice a year with key members of Keppel Corporation's board and senior management. Distinguished guest speakers are often invited to these meetings to share the latest developments in their respective fields. Apart from meetings, frequent discussions are co-ordinated by the Secretariat via email on topical issues such as nuclear energy and subsea-related developments.